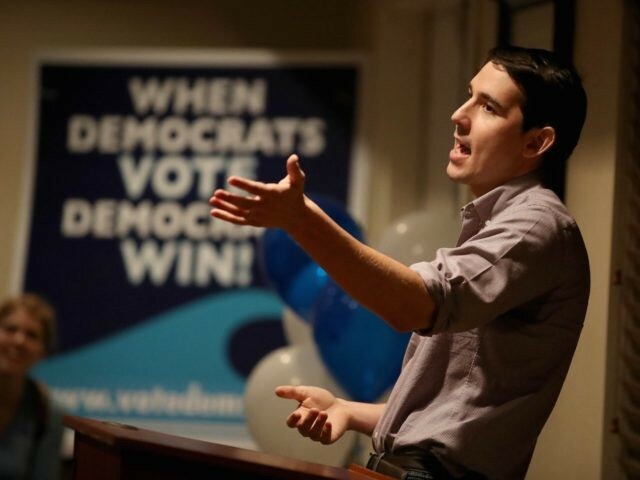 Democrats are hoping that venture capitalist Josh Harder can take out incumbent Rep. Jeff Denham (R-CA) in California’s rural 10th congressional district. They are touting a September poll — pre-Kavanaugh — that shows Harder up by 5 points. Insider opinion, however, suggests that Denham is likely to be re-elected. And the main reason has little to do with the big national issues at play in other districts. Rather, Harder may be undone because he is perceived as weak on water issues. Water is a matter of life and death in the Central Valley, where farmers depend on irrigation and on disappearing aquifers to grow their crops. Those farmers, in turn, support a massive array of secondary industries, as well as public services. And the big perceived threat to water in the 10th district today is a new state plan, the Bay-Delta Plan, that will require the main rivers in the San Joaquin Valley to maintain 30% to 50% of their “unimpeded flow” in spring, ostensibly to help native fish species. State officials — appointed by Democrat Gov. Jerry Brown — postponed a vote on the Bay-Delta plan until November 7, which conveniently happens to be the date after the midterm elections. Locals call the Bay-Delta Plan the “state water grab,” and opposition to it is bipartisan. For example, Democrat Rep. Jim Costa — facing a strong challenge from Republican Elizabeth Heng in the 16th district — joined Denham at a large rally in August outside the state capitol in Sacramento to protest the plan. But Harder — whom Denham calls “‘Bay Area’ Harder,” though he grew up in the Central Valley — failed to show. Denham pounced. In a press statement, he said that Harder was “missing in action” on water: “Josh Harder’s failure to attend and fight the state water grab or meet with local ag leaders shows he’s not fit to represent the Central Valley.” Though Harder says he opposes the Bay-Delta Plan, his absence from the rally has continued to provide ammunition for the Denham campaign. The water issue has allowed Denham to consolidate his support. Throughout the primary, he came under criticism for leading efforts to pass legislation to offer legal status to “Dreamers” — illegal aliens who were brought to the U.S. as minors. Denham is confident that his position is in line with the policy preferences of his district, where migrant labor plays a role in the farm economy. But for some conservatives, Denham’s position, and his efforts to circumvent House leadership, were troubling. It helps that Harder’s own position on immigration is so radical. On his campaign website, Harder attacks “Trump’s wasteful and ineffective wall,” and promises a “simple pathway to citizenship” — not just for “Dreamers,” but for other illegal aliens. He says little about border security, other than promising “comprehensive immigration reform” that “enhances our border patrol.” Harder also promises to “fight” for “Medicare for All,” the “democratic socialist” policy beloved by the far-left. The “water” section of Harder’s website avoids mentioning the Bay-Delta Plan. He suggests building more water reservoirs, and a system of inland desalination plans — interesting suggestions to be sure, but ones that are rejected by powerful environmental interests in the Democratic Party, which Harder seems reluctant to oppose. The one issue that could still hurt Denham is President Donald Trump’s trade war with China, which has responded by hitting American agriculture with tariffs. That makes it harder for Central Valley farmers to sell their produce abroad. Yet farmers are largely sticking with Trump, hoping the new U.S.-Mexico-Canada Agreement (USMCA) is a sign of relief on the horizon. Democrats targeted the 10th district because it voted for Hillary Clinton in 2016. But what voters in the Central Valley seem to want is a representative — Republican or Democrat — who can stand up to the left on water issues. That is where Harder has yet to make his case.